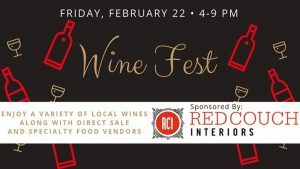 Come to the LCBA Home & Garden Show on Friday from 4 to 9 PM and enjoy our Friday Night Fest included with the cost of your admission. Adam Blessing Music will be performing! ** Samples being offered by local wineries; 1 distillery, and much more! Direct Sale Vendors and Crafters Welcome! Entry to the #LCBAHomeShow will include your entry to Friday Night Fest event (21 and over only) Free Parking!